Credentialing is an umbrella term referring to the various means employed to designate that individuals or organizations have met or exceeded established standards. These may include certification, registration or licensure of individuals, or accreditation of organizations. The health education profession has chosen certification as the method of individual credentialing for the profession. Certification is the process by which a nongovernmental agency or association grants recognition to an individual who has met predetermined qualifications specified by the agency or association. Typical qualifications include graduation from an accredited or approved program and acceptable performance on a qualifying examination or series of examinations. NCHEC's voluntary professional certification program establishes a national standard for individual health education practitioners. It differs from state and local certifications and registries in that the requirements do not vary from one locale to another. How does national certification benefit practitioners and the public? The CHES® and MCHES® certification programs have met rigorous standards set by the National Commission for Certifying Agencies (NCCA). The CHES® certification program has been NCCA accredited since 2008 and the MCHES® certification program since 2013. The NCCA was developed, in order to “ensure the health, welfare, and safety of the public through the accreditation of a variety of certification programs/organizations that assess professional competence”. The NCCA standards require demonstration of a valid and reliable process for development, implementation, maintenance and governance of certification programs. The NCHEC leadership has made a commitment to align with NCCA standards in the development and ongoing implementation of the health education certifications specifically by conducting a job/practice analysis periodically. The CHES® and MCHES® credentials are among the over 300 NCCA accredited programs for 120 organizations including but not limited to nursing, counseling, and respiratory therapy. Recently, NCHEC earned accreditation as a Personnel Certification Body by the International Accreditation Service (IAS). Accreditation provides a global benchmark for personnel certification programs to ensure consistent, comparable and reliable operations worldwide. IAS is one of the leading accreditation bodies in the United States and a signatory to several international mutual recognition arrangements (MRAs). 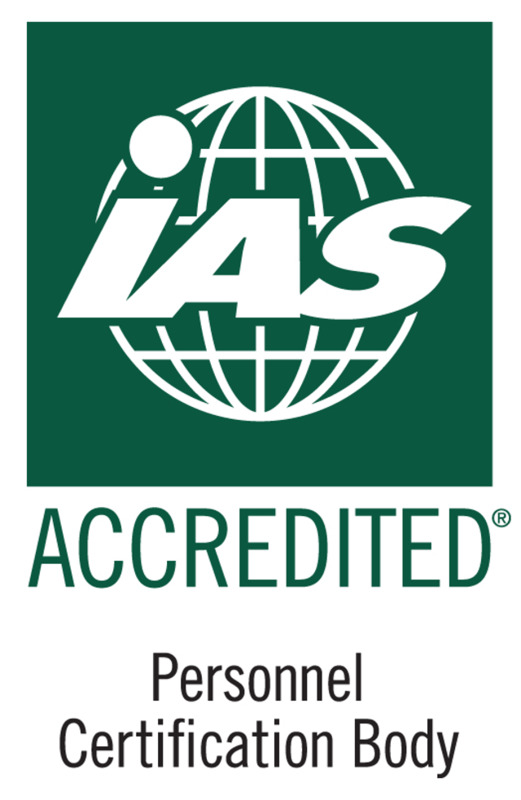 A recognized accreditation body since 1975, IAS accredits more than 800 organizations. IAS accreditation provides quality assurance to the public and other stakeholders that NCHEC’s policies and procedures comply with high international standards of practice for certifying agencies. IAS recognition demonstrates NCHEC’s ongoing commitment to meeting the highest credentialing standards of practice for the health education/promotion profession. 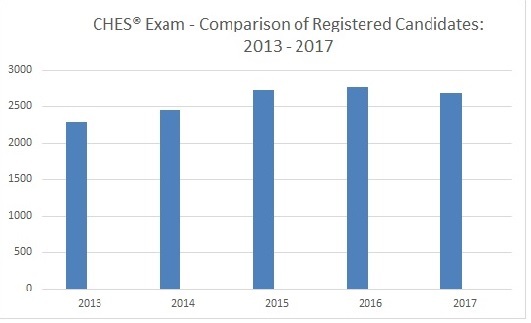 The National Commission for Health Education Credentialing continues to show solid growth in certifying both CHES® and MCHES®. 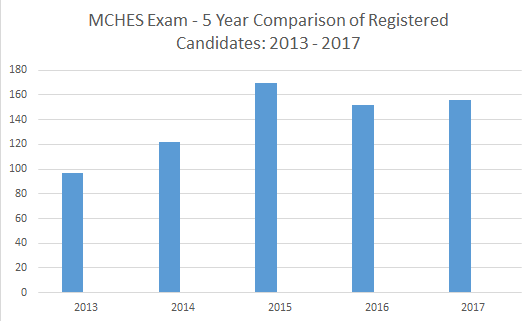 The 2016 exam cycles had the highest number of registrations out of all previous cycles with a total of 2775 CHES® registrants and 152 MCHES® registrants. To date, there are over 12,887 CHES® and MCHES® representing all 50 states in the United States, Puerto Rico, as well as others who are practicing internationally.